Destiny Strider is a longtime member of the parish. As she grew up, she participated in many ministries, from serving on the altar to St Peter Claver Ladies Auxiliary. Now she attends a Georgia college. 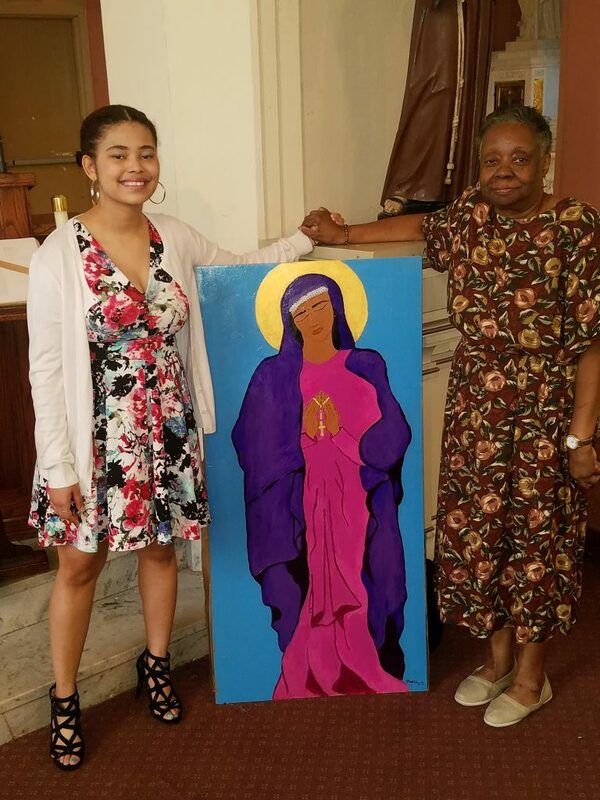 Before she left for college, she gifted the parish this painting of Our Lady. She was kind to answer a few questions about her project. 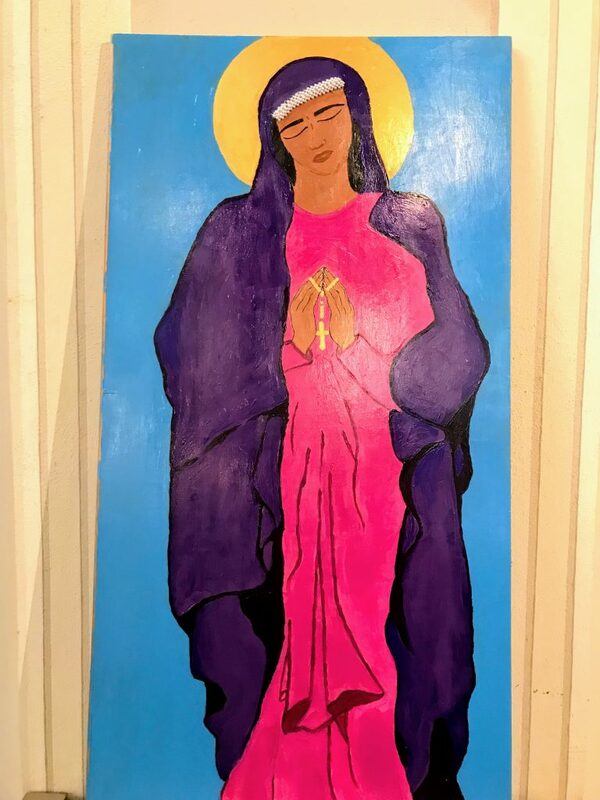 Why did you want to paint Our Lady? Destiny Strider: I was asked to paint her for the memorial garden in remembrance for Ms. Sybil Robinson. I was glad to have had this type of opportunity to recognize and remember such a beautiful spirit as Ms. Sybil. What is your connection in faith to the Virgin Mary? DS: The Virgin Mary is special to me because for as long as I can remember my grandmother faithfully prayed the rosary and taught me too as well. She was an avid collector of all things Blessed Mother. The Virgin Mary is the epitome of strength, faith, and obedience to God to me. What did you want your Blessed Mother to represent to people who see it? DS: I want it to represent love, faith, and strength. I want people to feel comforted and peaceful when they visit The Garden.